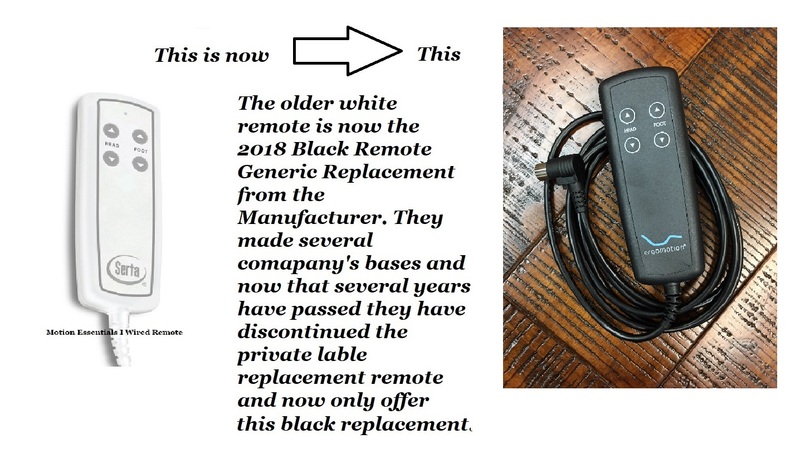 Serta Motion Perfect 1.0 (Middle -New 2018 Model is Black w/o Serta Logo) Wireless Remote Control (this is the only motion perfect that has a dip switch -numbered 1-6 on the processor unit as well as on the remote under the cover. 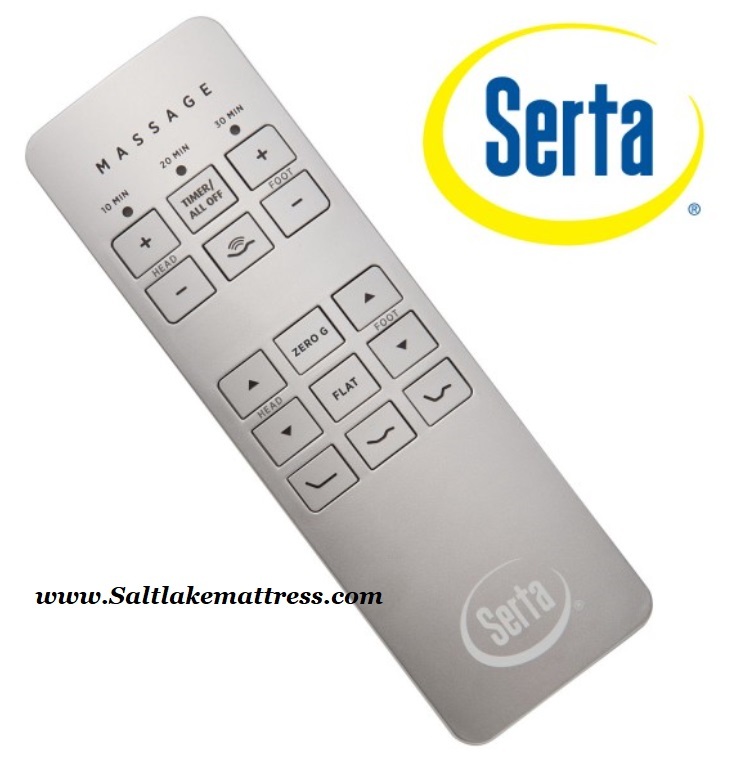 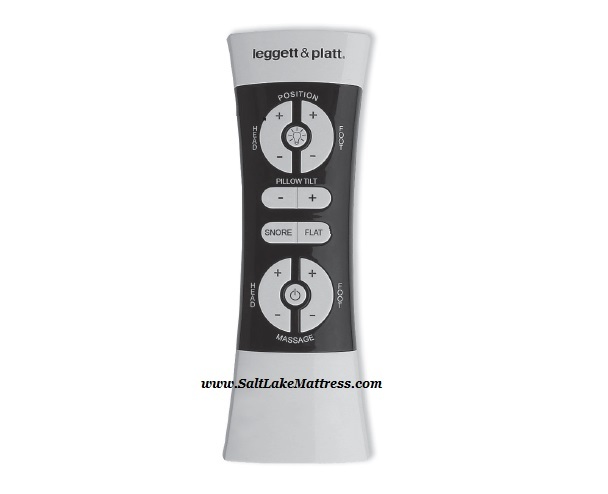 -Email us at info@saltlakemattress.com with your product code if you are uncertain which remote you need. 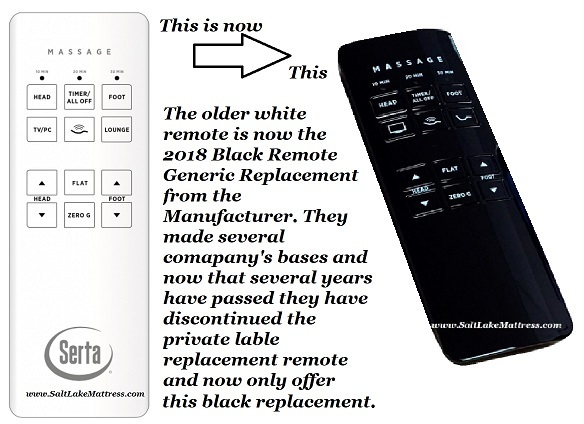 It can be located on the law tag near the upper right head area of the base. 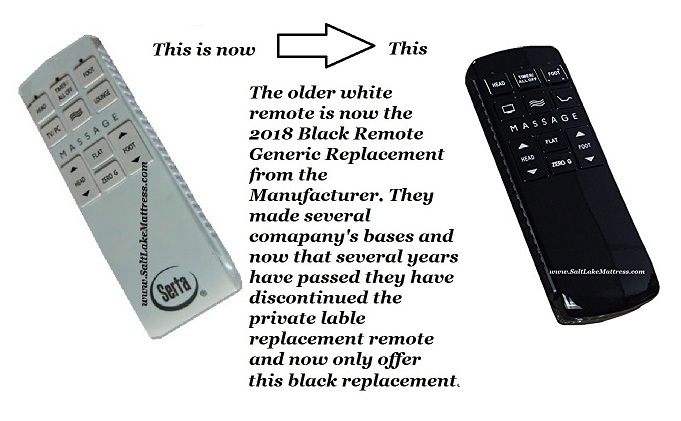 You will see a "Product Code" such as A334-A.